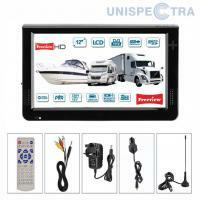 “Unispectra PORTABLE TV 12D1T2” – small, portable TV, which is very convenient to take along on the fishing trip! The TV has an integrated battery of 1500 mAh, which is sufficient to watch the game of the favorite team for at least 2 hours. 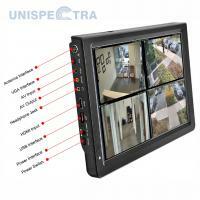 It can be plugged into the standard 220 V electrical socket or into the 12V automobile power supply socket. 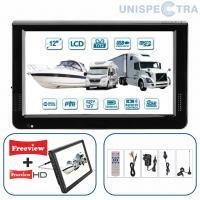 The TV is able to receive the signals of the digital terrestrial and analog television. 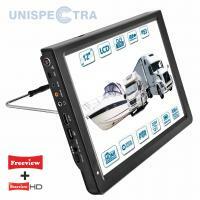 “Unispectra PORTABLE TV 12 D1T2” has a screen diagonal of 12.1 inches (approximately equal to 30.5 cm). An LCD screen with the “SD” screen technology ensures clear and contrasting picture, is economic, this allows to watch the portable TV without the power supply for up to 2 hours. 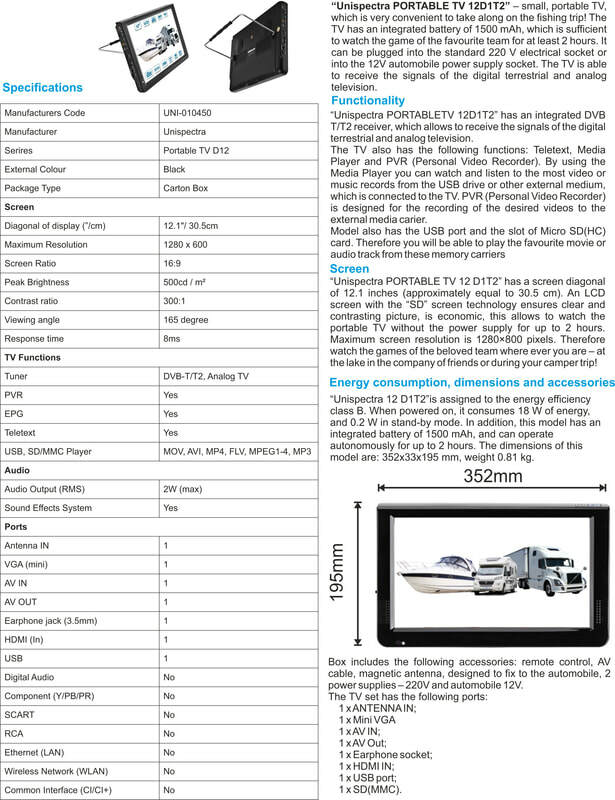 Maximum screen resolution is 1280×800 pixels. Therefore watch the games of the beloved team where ever you are – at the lake in the company of friends or during your camper trip! 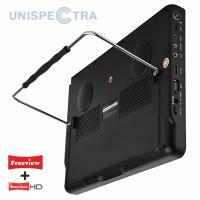 “Unispectra PORTABLETV 12D1T2” has an integrated DVB T/T2 receiver, which allows to receive the signals of the digital terrestrial and analog television. 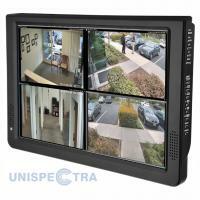 “Unispectra 12 D1T2”is assigned to the energy efficiency class B. When powered on, it consumes 18 W of energy, and 0.2 W in stand-by mode. In addition, this model has an integrated battery of 1500 mAh, and can operate autonomously for up to 2 hours. The dimensions of this model are: 352x33x195 mm, weight 0.81 kg. Box includes the following accessories: remote control, AV cable, magnetic antenna, designed to fix to the automobile, 2 power supplies – 220V and automobile 12V.